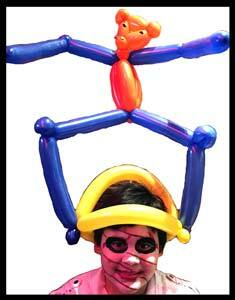 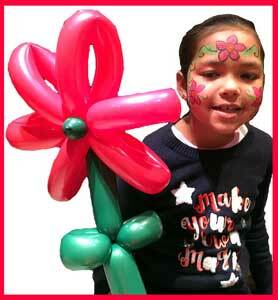 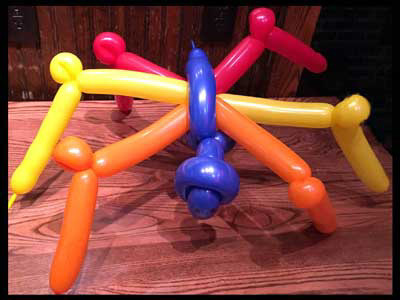 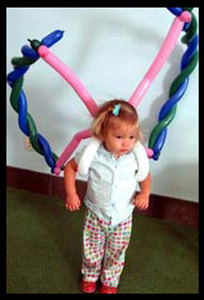 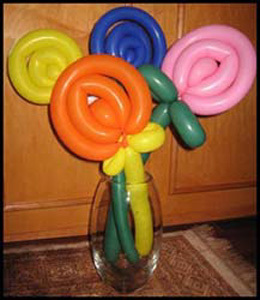 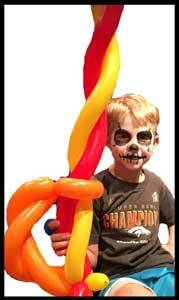 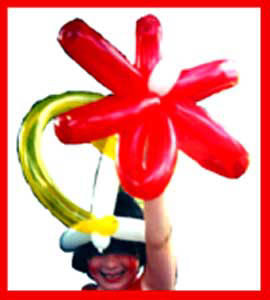 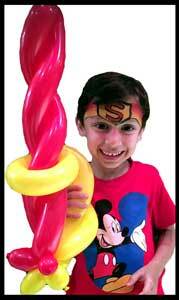 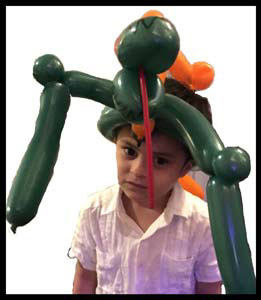 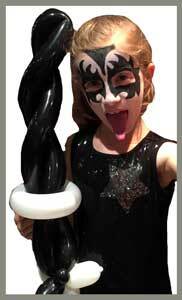 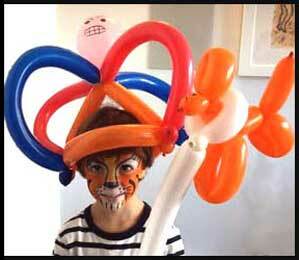 Party guests of all ages love twisted balloons! 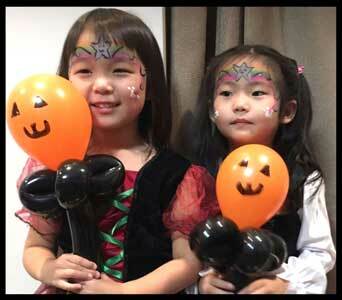 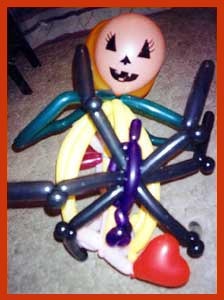 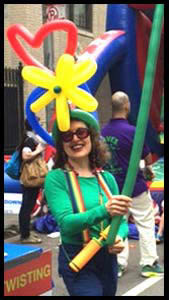 Daisy Doodle twisted balloons on "CBS Early Show" on Channel 2 TV for Childrens Halloween Party broadcast. 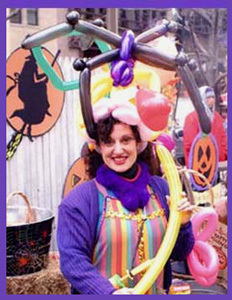 Balloon Artist Daisy Doodle and balloon hat she wore for CBS-TV. 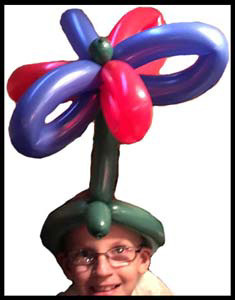 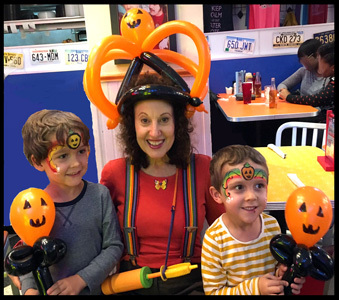 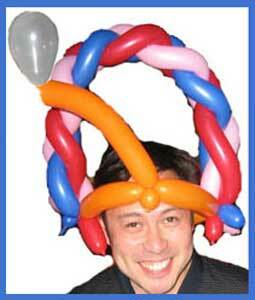 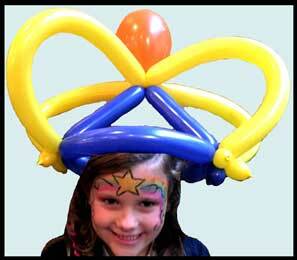 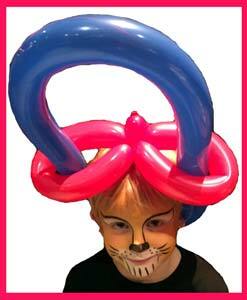 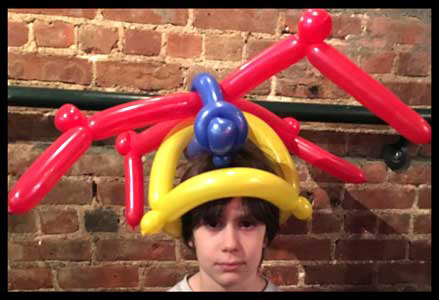 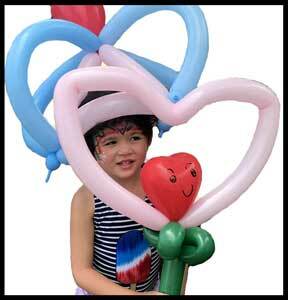 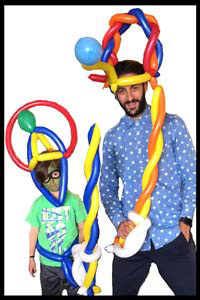 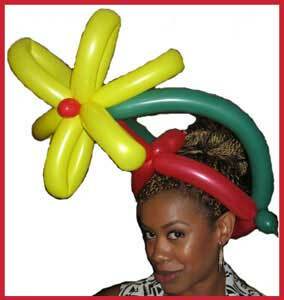 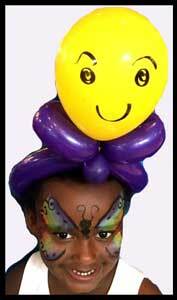 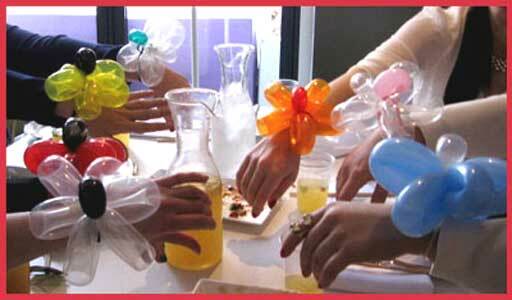 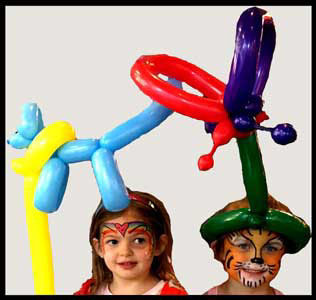 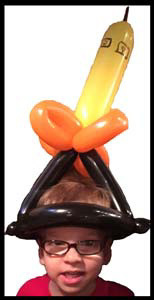 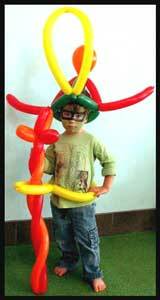 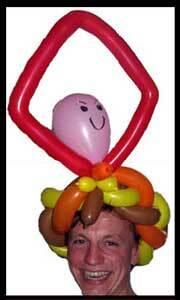 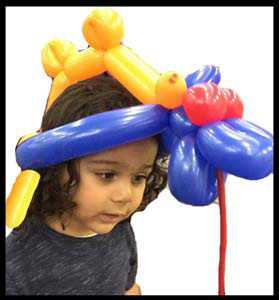 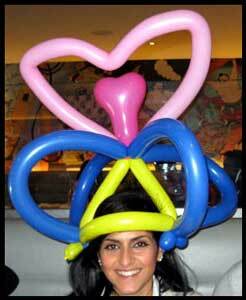 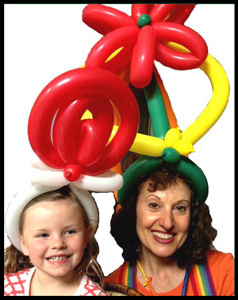 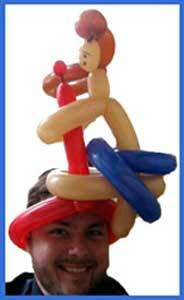 Adults enjoy wearing balloon twisted hats at parties!